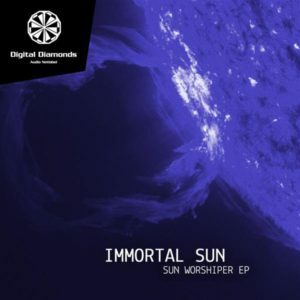 Immortal Sun delivers 4 fresh, exciting, and groovy tracks with that pinch of psychedelic with Sun Worshiper, his debut on Digital Diamonds. After releasing on Techgnosis Records he returns with an innovative fusion of progressive, minimal, microhouse, and cutting edge melodic techno! Mastering by Sonic Headquarters, Freiburg, Germany, with cover photo by NASA and artwork by Sonic. MP3 Download | FLAC Download | WAV Download · Download count: 8,553. Hammer ! Genau so gut wie Distanz Sky ! Wow this is incredible! I totally lost myself in this music. I especially love Shadow Flare. Thanks so much for this!